2016 has been a great year for rising home sales and increased price delivered to #Sellers! Right now demand is high and inventory low in the Capital District. If you are thinking of selling your home this Fall NOW is definitely the time! There are active buyers right now waiting for YOUR #home! Please call me for all your real estate needs. 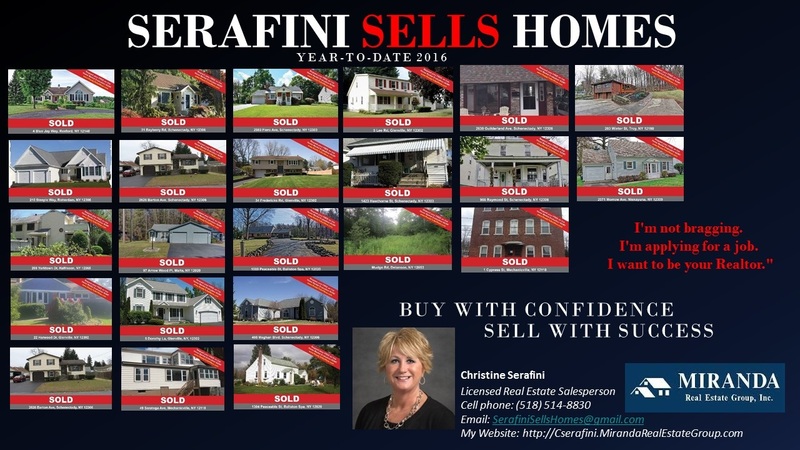 I have a comprehensive marketing plan to help #Sell your home. Thinking of #buying? I am committed to finding the home of your dreams! ON LINE FREE MARKET EVALUATION and A PULSE of How MANY Buyers are looking right now in your area RIGHT NOW!